The once-heralded development studio BioWare is facing an uncertain future in the wake of the failure of Mass Effect: Andromeda and an exodus of prominent staff members. The company’s next project, Anthem, is reportedly being viewed internally as a make-or-break title upon which their future potentially hangs. 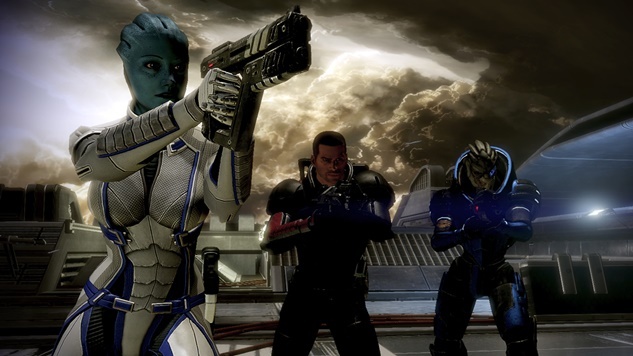 That title, and subsequently the studio, took another hit on Friday as Mass Effect and Mass Effect 2 lead writer Drew Karpyshyn announced he is once again departing BioWare. Karpyshyn initially left the company in 2012 after working on multiple notable BioWare properties, such as Star Wars: Knights of the Old Republic, Mass Effect and Star Wars: The Old Republic. He returned to the company in 2015 and had most recently been working on Anthem, BioWare’s answer to the “live services”-modeled Destiny franchise. Karpyshyn now joins the long list of former BioWare names who have left in recent history, including Dragon Age creative director Mike Laidlaw, Mass Effect: Andromeda lead writer Chris Schlerf, Dragon Age lead writer David Gaider, BioWare general manager Aaryn Flynn and Mass Effect: Andromeda senior development director Chris Wynn. In a statement released via his personal website, Karpyshyn said he is not leaving games entirely, but is pursuing “a number of projects, including more original novels, an original sci-fi graphic novel I’m co-creating, and freelance gaming work.” He currently has a project in the works with FoxNext Games’s new studio FogBank Entertainment, a narrative game-focused development house.